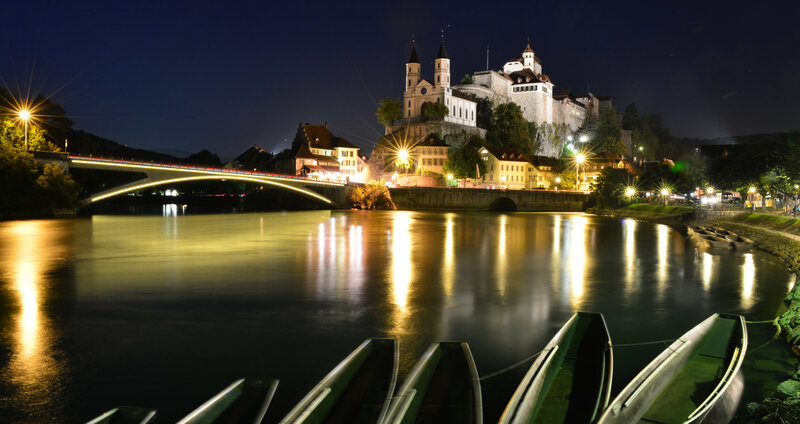 In honor of the Maillart Bridge's 100th anniversary, the City of Aarburg ordered a nightly accentuation for their landmark. Created by the known Swiss engineer Robert Maillart, the bridge is a very notable structure with international charisma. 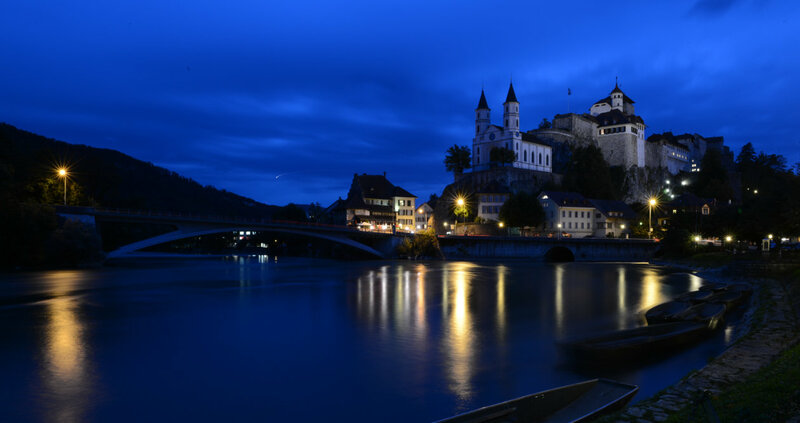 The landscape is characterized by a slim crag with the Aarburg-Castle from the 12th century and the city’s neo-Gothic reformed church. The filigree construction, the dynamic arch and the slim deck slab of the bridge is absolutely unique for a one hundred-year old creation. The accent lighting at the borders is realized with Traxon’s Monochrome Tube Warm White fixtures displaying the refinement of the bridge during the night. Controlled by e:cue’s DMX2PWN 9CH, the installation can be dimmed separately at the top and under the bridge arch. Due to the Monochrome Tube's Plug'n'Play capability, 88 fixtures were mounted quickly and effortlessly. The Aarburger Maillart Bridge is typically illuminated at 30% of its maximum brightness, which promises a long lifetime of the fixtures, minimal power consumption, and low maintenance costs. This bridge is a distinguished paradigm of energy-efficient accent lighting for historical buildings.